To become a radiographer you will need a tertiary qualification in medical radiation science, either at undergraduate or graduate level. After graduating, medical imaging technologists will undertake one year of paid supervised practice working within an accredited clinical radiology department which is managed by the (AIR) Australian Institute of Radiography. Having successfully completed this year, graduates will be granted a Validated Statement of Accreditation from AIR and may apply to the relevant board of registration (depending on the State ) to be authorised to practice. Looking for a highly skilled, rewarding and well-paid career? Then how about becoming a Radiographer? If you're looking for a career which offers plenty of exciting job prospects, then you might like to consider a career in radiography. Radiographers are highly sought after in Australia as well as other countries such as New Zealand, the United Kingdom and the United States of America. As a radiographer, or medical imaging technologist as it is often called, you'll be operating machinery such as X-ray machines to take high-quality pictures or images which are used in the diagnosis and treatment of injury and disease. 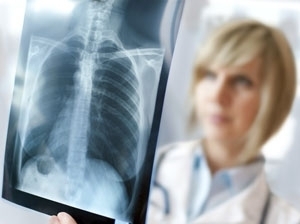 It's a very important part of medicine since a patient's diagnosis and subsequent treatment can often be dependent on the X-ray images that are produced. What sort of skills and attributes does a person require? What exactly does a radiographer do? Although a radiographer's job is highly technical they need to enjoy working with people and be able to focus their attentions on the care and welfare of patients to ensure their experience is a positive one. The job is demanding but also highly rewarding. In addition, a radiographer needs to have a thorough understanding of the body's structure and the effects of injury and disease on the body when taking X-ray images. However, it isn't within their job role to interpret the X-ray images as this is done by a radiologist who will have a medical degree, have undertaken clinical training, and then specialised in imagery interpretation and writing diagnostic reports for referring doctors. They rely heavily on the radiographers, and together they will have a close working relationship. So how do you become a radiographer? • Be in possession of a Bachelor degree in medical imaging science or a health science discipline. For some courses you may need to hold a first or second class honours. After graduating, medical imaging technologists will undertake one year of paid supervised practice working within an accredited clinical radiology department which is managed by the (AIR) Australian Institute of Radiography. Having successfully completed this year, graduates will be granted a Validated Statement of Accreditation from AIR and may apply to the relevant board of registration (depending on the State ) to be authorised to practice. What else can a radiographer do? Salaries vary according to where you work and in which territory but you can expect to start off at around $50,000 pa rising to $100,000 at a senior level. Taken across the whole of Australia, the average radiographer's salary is around $73,500 pa. Working as a radiographer is highly skilled and rewarding career with plenty of patient contact. It also offers numerous benefits including excellent job prospects, diverse range of specialist areas, the use of cutting edge technology, on-going training, good opportunities to travel, flexible working (full time, part time and locum) and very good financial rewards.